Axis Coach is committed to the success of our corporate customers. We are always 15 minutes early for your pick up and offer complimentary water and chocolate. Corporate transportation discounts are available for those who travel often. Please keep in mind we also offer corporate event transportation, trade show transportation, conference transportation, convention center transportation, along with our airport and hotel transportation, remember Axis Coach is the center point of your transportation needs. Axis Coach Black Car Service is not as expensive as you think. Compare it to a city taxi leaving the city limits and you will see what we mean. With Axis Coach Black Car Service you get a professional chauffeur that goes through training in defensive driving along with training in customer service. Also water and chocolates are complimentary on each Airport trip with Axis Coach. All of our Airport Sedans are Lincoln Executive L Series Sedans that are extended six extra inches, this gives you extra leg room. The air conditioning, heat and radio can be controlled from the rear seat. All Airport Sedans have beautiful black leather interior. Axis Coach provides 24-hours, 7 days a week, airport car service to all major airports of the New England region and has nationwide affiliates that can accommodate you when you arrive at your destination. 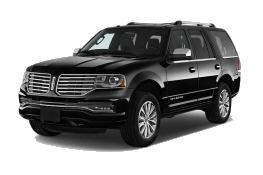 Traveling to the airport with a small group, or bringing the family to the airport for vacation, then the Lincoln Navigator L is the Luxury vehicle for you. The Lincoln Navigator L is the largest in its class. Seats up to 7 with light luggage or 5 with 5 bags . Enjoy your ride with extra leg room, the Navigator L is stretched an extra six inches. This vehicle has a video DVD player for longer road trips, with THX II audio system for true surround sound. The Navigator L is also equipped with Sirius Satellite radio and rear passenger controls. Arrive in First Class and return in First Class at a Coach price. Make your vacation memorable for the right reasons, by trusting the best. Our fleet of Luxury Stretch Limousines are perfect for your airport transportation, whether it's Boston Logan Airport (BOS) or Manchester Airport (MHT). Perfect also for the Boston Black Falcon Cruiseport. Enjoy a Mimosa or a Bloody Mary cocktail on the way down to the airport, All our services include waters, soft drinks and ice for your convenience. Arrive in First Class and return in First Class at a Coach price. 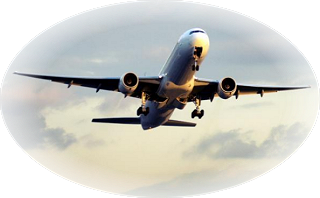 Traveling to the airport with a large group, or bringing the family to the airport for vacation, students traveling home for break then the Axis Express Airport Van Service is for you. This 10 passenger vehicle is an economical way to get to or from the Logan Airport (BOS), Manchester Airport (MHT) or Black Falcon Cruiseport Terminal. Students can get a group together and share the ride. Ask about our shared van service to see if we have a route near you.